As we enter Fall and crave comfort food, weekly meal planning is super important for making dinnertime easy and manageable for families. Having a plan mapped out, and the ingredients for your recipes on hand, is really important for successful meal planning. Also, filling your meal plan with recipes that meet your criteria and lifestyle are very important as well. 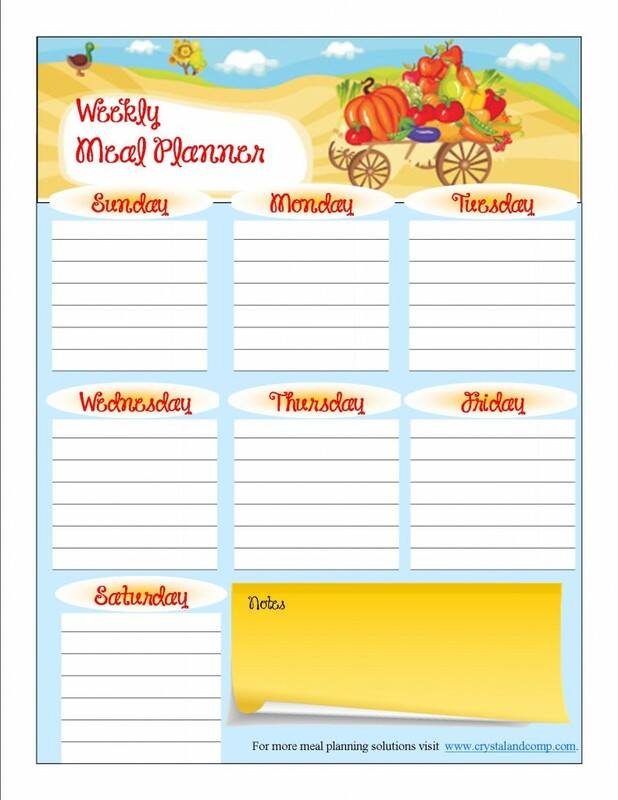 Each month I offer a free printable meal planner to my readers to help you in this process. For the month of October this printable celebrates Fall and has the perfect note taking area that you can use as you wish. I love the idea of starting a grocery list in that space as you run out of things in your fridge and pantry. Or, you could certainly use it as a place for planning your snacks! Click the image below or here to download October’s free printable. For more meal planning inspiration, check out three years worth of my weekly meal planning posts that I have shared here on Crystal & Co.
Also, check out the hashtag #howtomealplan on Instagram and share your dinnertime success each night! And, if you struggle with meal planning, make sure you check out my How to Meal Plan eBook. I love this! Thanks so much for it. I’m excited to laminate it and put it on my fridge! Love the idea of laminating it so you can just use a dry erase marker and use it over and over again! I just might have to do a tutorial for that!